Host - Interactive Workshop on Formulation and Manufacturing of Biologicals and Seed Treatment with Biologicals, Informa Life Sciences' Agrochemical Formulation Conference, February 2015, Berlin, Germany. Biological Seed Treatment at FCI’s Global Sourcing Summit 2014, (Meister Media) New Delhi, December 2014. Co-Host – Seed Treatment Master Class, AgBio World Congress (Informa Life Sciences), Berlin, Germany, December 2014. Panelist – Movement of Treated Seeds across International Borders, AgBio World Congress (Informa Life Sciences), Berlin, Germany, December 2014. Host - Interactive Workshop on Formulation and Manufacturing of Biologicals and Seed Treatment with Biologicals, AgBio World Congress (Informa Life Sciences), Berlin, Germany, December 2014. 4TH National Bio-Technology Conference, Confederation of Indian Industry, New Delhi, November 2014. 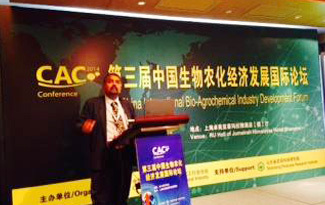 Annual Bio-control Industry Meet, Basel, Switzerland, October 2014. 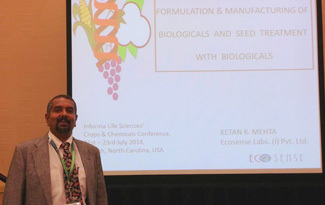 Host - Interactive Workshop on Formulation and Manufacturing of Biologicals and Seed Treatment with Biologicals, Crops & Chemicals USA (Informa Life Sciences), Raleigh, USA, 21-23 July 2014. Informa Life Sciences' Agrochemical Formulation Conference, February 2014, Berlin, Germany. 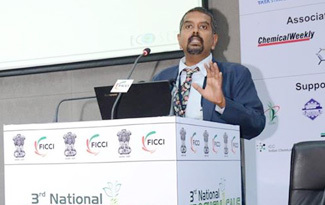 3RD Agrochemical Conference – Federation of Indian Chamber of Commerce & Industry, New Delhi, July 2013. Annual Bio-control Industry Meet, Lucerene, Switzerland, October 2012. Crop World 2012, Hyderabad, India, September 2012. New Ag International, Bangkok, March 2012. CAC India Summit, Mumbai India, November 2011. Annual Bio-control Industry Meet, Lucerene, Switzerland, October 2011. Crop World South America, 2011, Sao Paolo, Brazil, July 2011. New Ag International 2011, Athens, Greece, June 2011. Crop World 2011, Mumbai, India, June 2011. 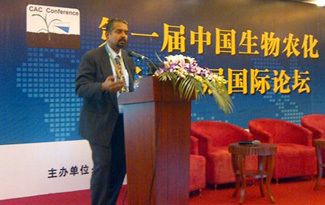 2ND Agrochemical Conference – Federation of Indian Chamber of Commerce & Industry, Mumbai, February 2011. Crop World 2010, Mumbai, India, May 2010.